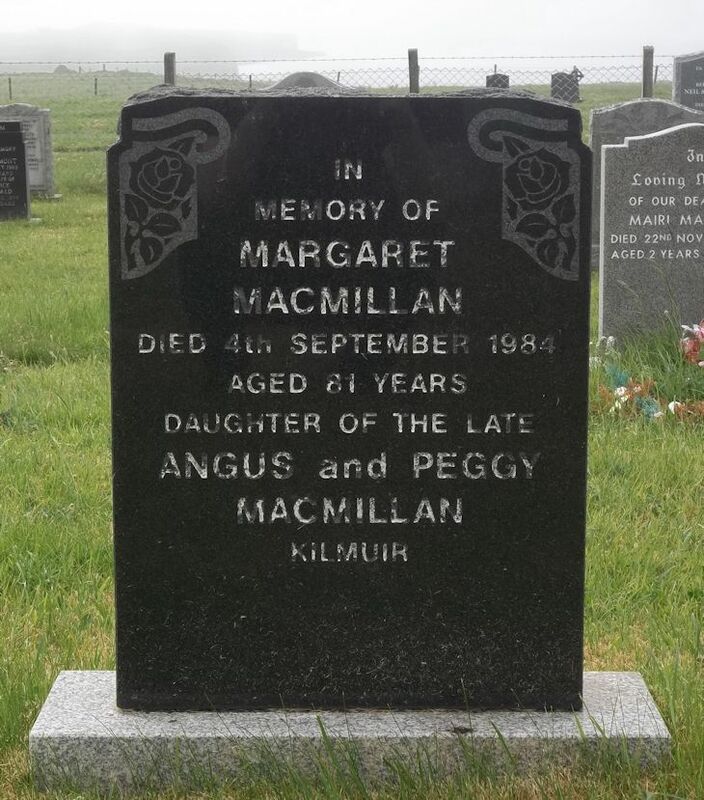 Skye Gravestones | Margaret Macmillan. In/memory of/MARGARET/MACMILLAN/died 4th September 1984/aged 81 years/daughter of the late/ANGUS and PEGGY/MACMILLAN/Kilmuir. Picture Added on 08 June 2018.